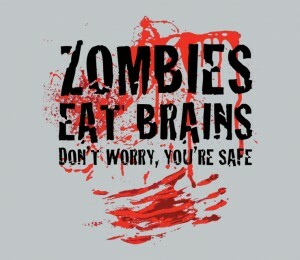 Let’s make this a new thing we say: “You’re as safe as a stupid man during the zombie apocalypse.” Sound good? No. It’ll never work. You can never force things to happen. They just happen. Like zombies. You never see anyone force a zombie to eat them. They just do. And then the zombie transformation happens. They don’t force it. In fact, a lot of times they try to stop it, but that only makes it come faster. Same with a meme. They come randomly and without forcing them and are usually repeated by people with no brains. We’re in the blog universe, Morty.